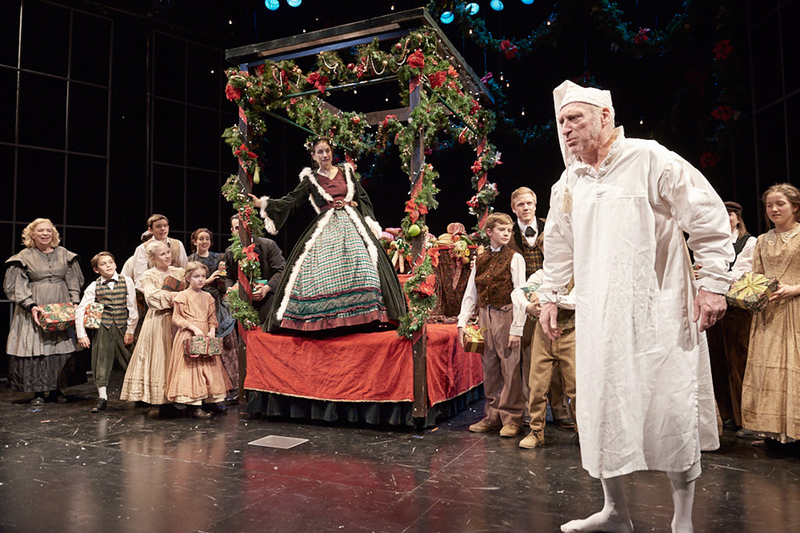 The holidays would not be the same without Pittsburgh CLO's A Musical Christmas Carol! We've taken the spirit of the season, wrapped it in your favorite yuletide melodies and tied it with all the holiday magic and wonder of your childhood. Join Scrooge, Bob Cratchit, Tiny Tim and a host of colorful characters for a remarkable CLO holiday presentation of A Musical Christmas Carol. With dazzling special effects, holiday charm and ticket prices even Scrooge would approve of, this Charles Dickens classic is a wonderful way to celebrate all the tradition of the season. Enjoy an overnight accommodation at the Mansions on Fifth Hotel for two in a Deluxe King or Standard Queen room, two tickets to A Musical Christmas Carol at the Byham Theater, champagne in your room at check in, and a $60 dinner voucher to Six Penn Kitchen. Your Uber transportation to and from the show is also taken care of as part of the package. It's seamless! A Musical Christmas Carol is playing Fridays through Sundays December 7-23, at a variety of times. Space is limited so book today! Important Note: Please note that the ticket portion of this package is not refundable in the case of cancellation.